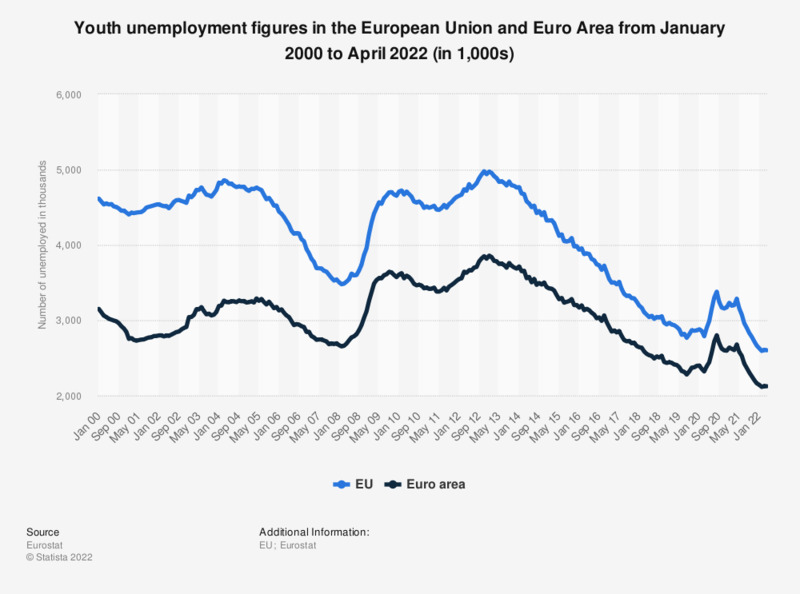 This statistic shows the seasonally adjusted youth unemployment figures (under 25 years) in the European Union and the Euro area from January 2018 to January 2019. In January 2019, around 3.38 million young people in the EU were unemployed. Figures have been rounded for a better understanding of the statistic. Figures previous to September 2013 have been taken from earlier Eurostat publications. Was the implementation of the Euro a good thing? Was the establishment of the European Union favorable?